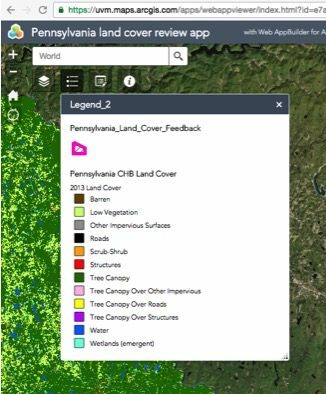 Pennsylvania Land Cover Data Now Complete! We are building a high resolution (1m x 1m) LiDAR-based land cover dataset for all 43 counties that cover the Delaware River Basin. Data for Delaware State was released earlier this year. The Pennsylvania Delaware River Basin data can be downloaded from PASDA along with the counties that intersect the Chesapeake Bay Watershed. The New Jersey and New York DRB county land cover data is currently underway, with two of the twelve land cover classes remaining. The University of Vermont Spatial Analysis Lab has developed an online map viewer for individuals to submit feedback on the landcover data. The viewer currently includes all Pennsylvania counties that intersect the Chesapeake Bay Watershed or Delaware River Basin. They need your feedback to identify errors or areas that need further review! Twelve land cover classes were mapped. The primary sources used to derive this land-cover layer were 2006-2008 leaf-off LiDAR data, 2005-2008 leaf-off orthoimagery, and 2013 leaf-on orthoimagery. Ancillary data sources such as LiDAR-derived breaklines for roads and hydrology were used to augment the land-cover mapping. 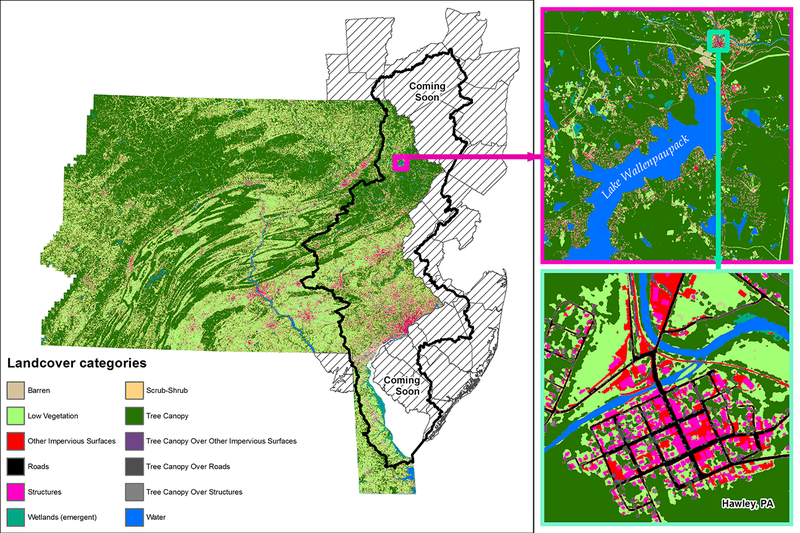 At the time of its publication, it represented the most accurate and detailed land cover map for the Pennsylvania portion of the Chesapeake Bay Watershed. How will you use our data? Take a quick survey to Let us know how you intend to use our DRB2070 mapping and modeling products. Your input will help inform our work and identify stakeholder needs. Thank you!